Jared Goff and the Los Angeles Rams have been busy preparing for the NFC Championship Game against Drew Brees and the New Orleans Saints. It'll be Goff's first time in the game, just one win removed from a trip to the Super Bowl. The Rams haven't been in this position in nearly two decades, so they're thankful Goff is on their team. However, what about the players the Rams had to give up to acquire Goff? As you may recall, Goff was part of a massive trade before the 2016 draft, with the Rams and Tennessee Titans exchanging nine picks. The Rams received the No. 1 overall pick and the Titans' picks in the fourth (No. 113) and sixth (No. 177) rounds. The Titans got a whopping six picks from the Los Angeles, including their first-round pick in 2016 (No. 15), two second-round selections (Nos. 43 and 45), and a third-round pick (No. 76). Additionally, the Titans got the Rams' 2017 first- and third-round picks. Goff is doing quite well for himself in Los Angeles. He finished this season with more than 4,600 passing yards and 32 touchdowns. Let's look at the other players in the trade and where they're at now. Los Angeles traded the No. 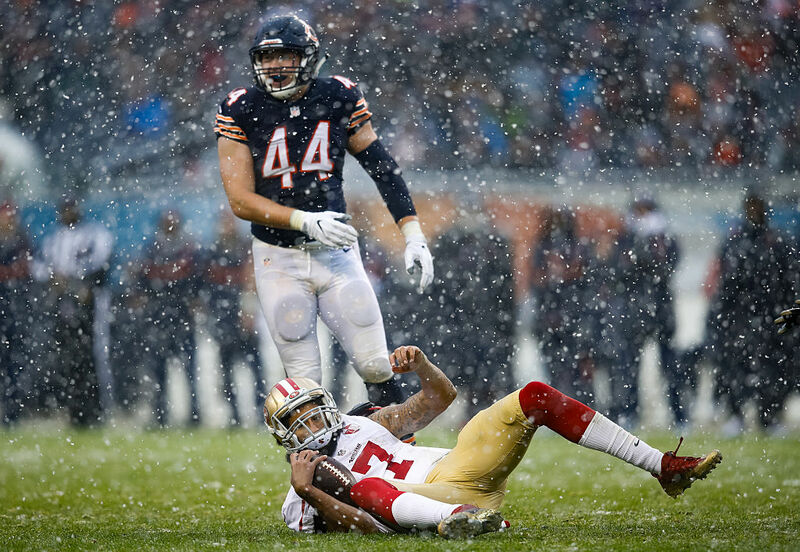 133 pick to the Chicago Bears, who selected linebacker Nick Kwiatkoski. He's still a solid contributor on the team, with five forced fumbles and three sacks in his career. The Rams took tight end Temarrick Hemingway with the 177th selection. He spent one year with the Rams before joining the Denver Broncos, though he didn't have a catch this past season. Meanwhile, the Titans ended up trading the Rams' first-round pick in 2016 to the Cleveland Browns, who took receiver Corey Coleman. Coleman has already been on four rosters in the NFL, including the Bills, Patriots, and Giants. The Titans made defensive tackle Austin Johnson their choice with the Rams' 2016 second-round pick. He's still on the team, having recorded 2.5 sacks in three years. With pick No. 45, the Titans took Heisman Trophy winner Derrick Henry. Though it took the team a little while to figure out how to use him, Henry had a breakout season in 2018. He finished with 1,059 rushing yards, 12 touchdowns, and tied an NFL record with a 99-yard touchdown run. The Titans traded the Rams' third-round pick to the Browns in the Corey Coleman deal. The Browns took offensive tackle Shon Coleman (no relation), who spent two seasons with the Browns before the team traded him to the San Francisco 49ers last year. 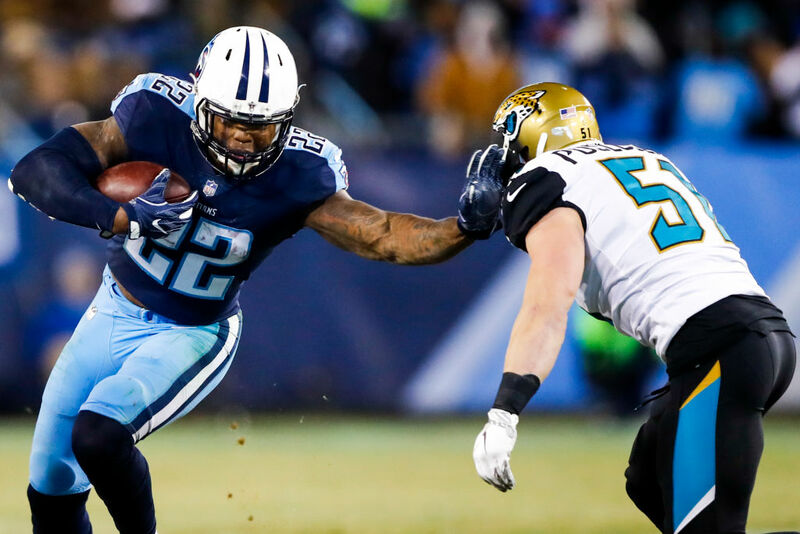 It's the two picks the Titans got in 2017 that, along with Henry, provided a huge chunk of the team's firepower this season. 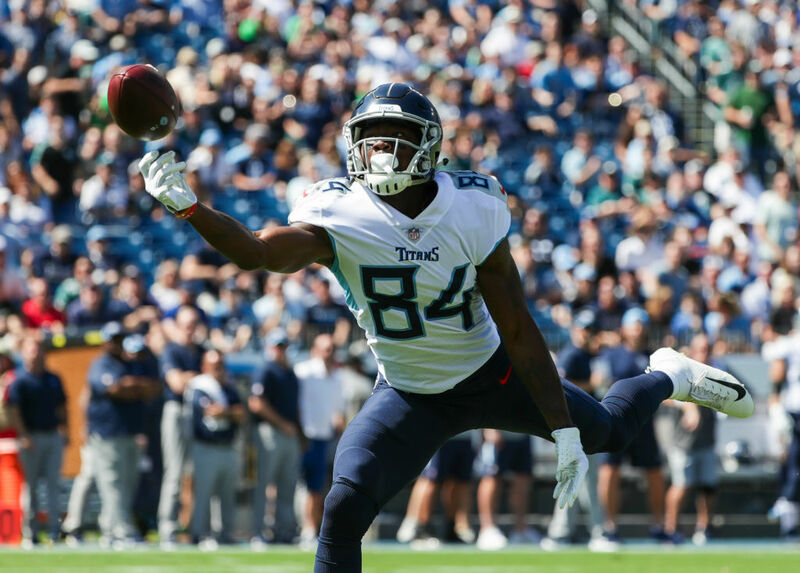 Corey Davis went with the first-round pick, while tight end Jonnu Smith was taken with the Titans' third-round pick from L.A. in 2017. Davis and Smith combined for 1,149 yards and seven touchdowns this past season, and should only improve in the coming years. This might be a rare situation where both teams won in a trade. The Rams have their quarterback for the foreseeable future, while the Titans have a handful of promising young pieces. And because we're always interested in salary, how are the Rams and Titans looking financially? Goff is on a four-year, $27.9 million deal. Between his signing bonus (spread out over four years) and salary, the Rams paid him about $7.6 million this year and will owe him $8.8 million next year. Johnson and Henry each have one year left on their rookie deals, while Davis and Smith each have two. Aside from Davis, who's on a first-round salary, the Titans draft picks have been steals from a financial perspective. Henry and Smith have both outperformed their salaries – Smith is making less than $1 million per year while Henry was one of the top running backs in the league during the second half of the season. While the Rams have had more team success – and could find themselves in the Super Bowl by the end of the weekend – the Titans certainly didn't get a raw deal in this trade. We could very well see both of these teams in the postseason in 2019, where a lot of these players will be playing for massive contracts the following summer. And that's a winning situation for everyone. Buffalo Wild Wings Is Giving Away Free Wings If The Super Bowl Goes To Overtime... How Much Would That Cost Them? This Super Bowl, Buffalo Wild Wings is putting its "overtime button" to the ultimate test. And everyone in America could benefit. Thanks to an inexpensive option at quarterback and heavy spending elsewhere, the Los Angeles Rams are just one win away from a championship. Here's how they got there.